Amita Vadlamudi served as an IT professional for more than 30 years, undertaking large-scale engineering projects spanning Unix and mainframe systems and performing complex coding assignments. An avid reader of history books, Amita Vadlamudi is particularly interested in ancient cultures. Beyond the ancient Greeks, Sumerians, and Egyptians, there were a number of early advanced cultures whose accomplishments have largely remained a mystery. These include the Oxus civilization, who lived on the Central Asian plains 4,000 years ago. 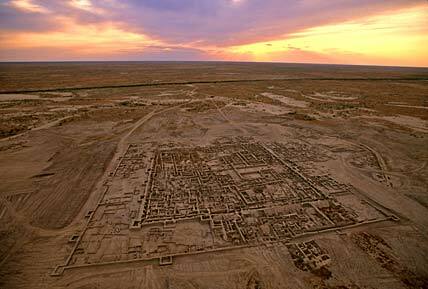 Spanning 1,000 square miles in what is now Turkmenistan, Uzbekistan, and Afghanistan, the civilization was concurrent with the emergence of complex societies along the Yellow, Indus, Nile, and Tigris-Euphrates rivers. The civilization was named Oxus, after the Amu Dar’ya River, which at the time was known as the Oxus River. Bronze Age sites reveal distinctive art forms and regularly proportioned thick-walled mud brick structures that indicate a level of advancement previously thought to have reached the region 1,000 years later. A major find of the late 20th century that has generated significant interest is a 350-by-600-foot citadel in Gonur that was surrounded by towers and a high wall, and had canals and an irrigation system in place.